Kyoto in spring is synonymous with cherry blossom viewing. The blossoms against a traditional background are unique to Kyoto. Learn the 15 top spots to see sakura in Kyoto, along with information on weather and where to stay. Cherry blossom viewing (hanami) in the former capital of Kyoto is an experience you can’t leave out when visiting Japan during the spring. The cherry blossom viewing season in Kyoto typically takes place every year from early to mid-April depending on the weather and the area. The announcement of the first bloom is released during the second half of March and the flowers will be at their prettiest from earl to mid-April when they reach their full bloom. 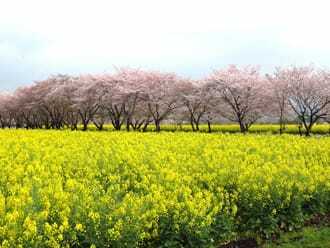 However, some cherry blossom varieties bloom starting in early March, while others bloom during April. 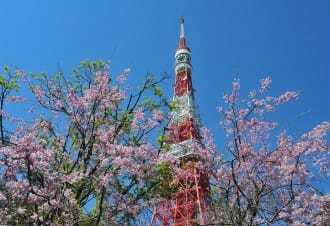 The blossoms may also fall when it rains, so be sure to check the status of the cherry blossoms on official websites before visiting each spot. The cherry blossom forecast dates for 2019 are as written below (current as of February 2019). Picture from 5 Amazing And Less Crowded Cherry Blossom Spots Near Kyoto! 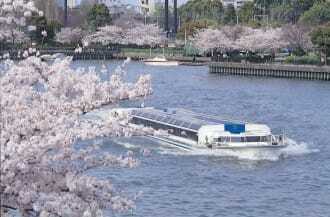 There are famous cherry blossom spots throughout Kyoto where you can enjoy different scenery. You can find flowers along the river, blossoms near shrines and temples, and cherry blossoms at World Heritage Sites in Kyoto. Choose a spot that suits your style of travel and what you want to do on your trip. In this article, we introduce fifteen top recommended cherry blossom spots in Kyoto. Hirano Shrine has been renowned for its cherry blossoms since long ago. It was believed that the blooming of the sakigake-zakura, a cherry blossom variety that originated at the shrine, indicated the beginning of the hanami season in Kyoto. The approximately 60 cherry blossom varieties planted on the grounds bloom at different times. 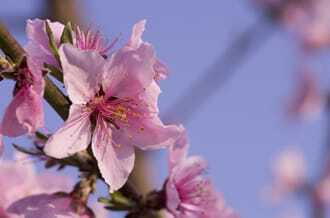 As a result, the blossoms can be enjoyed for about a month and a half, with the first bloom usually occurring in early March. Additionally, an event called the Okasai Festival takes place annually on April 10. The historical procession at this event starting at 13:00 is a must-see. About 200 people carrying mikoshi and Orihime outfits will walk in procession around the shrine. *Precaution: In 2018, Hirano Shrine suffered damage, including fallen cherry trees, due to the effects of a typhoon. Flower viewing is possible in 2019, repair work on the grounds will last until 2021. A collection box for donations to restore the shrine has also been placed on the grounds. 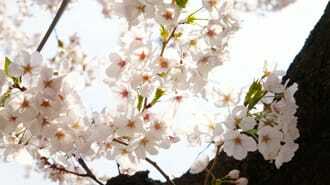 Approximately 450 cherry blossom trees of 130 varieties are planted at the Kyoto Botanical Gardens. Visitors can enjoy them from mid-March until the end of April. A highlight of the garden is its forest of cherry blossom trees extending north of the conservatory. Plant enthusiasts should definitely enter the conservatory. It is Japan’s largest conservatory, housing 4,500 plant species. The illuminations of the night cherry blossoms are held until 21:00 from the end of March to the beginning of April, allowing visitors to be able to admire the flowers at a later time than usual. Admission Fee: Adults 200 yen, high school students 150 yen (entry for the gardens). Entry for the conservatory costs 200 yen for adults and 150 yen for high school students. Nijo Castle, a World Heritage Site, was constructed by Tokugawa Ieyasu, a shogun (military general) during the Edo period. It is a popular spot for history buffs. Approximately 300 cherry blossom trees in 50 varieties bloom in succession on the castle grounds between early March and late April. Here, you can enjoy cherry blossoms together with various sights including a tree-lined avenue, Japanese gardens, and historical structures. 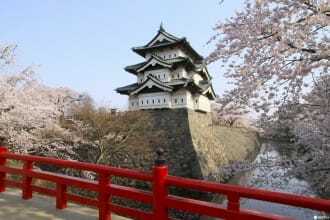 The Nijo Castle Cherry Blossom Festival 2019 is held between March 21 and April 14, 2019. 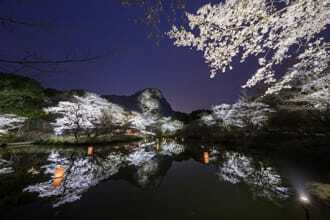 During the festival, night cherry blossom illuminations take place from 18:00 to 21:30. The combination of traditional buildings and night blossoms is magical! Admission Fee: Adults 600 yen, junior and high school students 350 yen, elementary school students 200 yen. Visiting during the daytime and at night requires a separate fee. Toji Temple is home to Japan’s tallest five-storied pagoda for a wooden structure. The temple’s official name is Kyo-o-gokokuji Temple. It is a registered World Heritage Site. Around 200 beautiful cherry blossom trees bloom here. Be sure to take a photo with the five-storied pagoda in the background to capture a traditional Japanese essence. The Fuji Zakura, the cherry tree Toji Temple is most known for, is a shidare-zakura (weeping cherry) tree that is over 130 years old. It towers 13 meters tall and has an artistic beauty that is especially wonderful during the illuminations from late March to early April. Maruyama Park is used by many Kyoto locals for outings. About 680 cherry blossom trees in the park are illuminated from mid-March to mid-April from sunset until 25:00. Food stalls are also set up in the park, making it into a spot bustling with crowds of people regardless of the time. 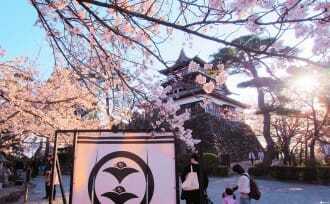 The shidare-zakura, famous as the park’s symbol, is over 80 years old. 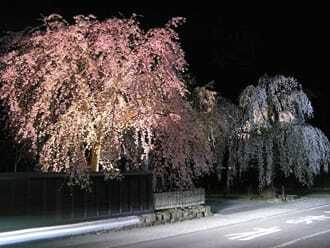 It has the nickname "Night Cherry Blossoms of Gion." Shidare-zakura bloom annually in late March. Other cherry blossom varieties in the park can be enjoyed until mid-April. Approximately 300 cherry blossom trees are planted at Heian Jingu Shrine, which was established in 1895. The shrine is very impressive with its vermillion pillars and green roof. It appears even more gorgeous when combined with the pink of the cherry blossoms. There is also a Japanese-style garden in Heian Jingu Shrine. 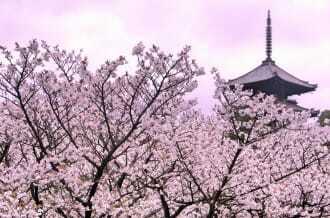 Here, you can admire the cherry blossoms in a setting different from their appearance against the vivid main shrine. 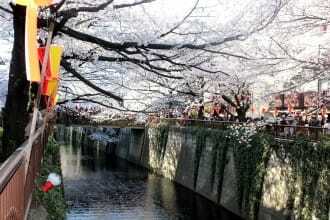 Events are also held during the cherry blossom season. The Kano Chakai will be held from April 1 to 15, 2019 from 9:00 until 16:00. During the event, you can have matcha green tea for 800 yen in addition to the visiting fee. Additionally, the Heian Jingu Shrine Beni Shidare Concert 2019 (18:15 – 21:00; admission is 2,000 yen) is an event that combines night cherry blossom illuminations with a concert to be held from April 4 to 7, 2019 and is when you can enjoy the lively atmosphere. Arashiyama is a scenic spot where you can appreciate nature. Known as a cherry blossom spot since ancient times, the entire mountain is dyed in a light pink color when the cherry blossoms are in full bloom. Being able to have a hanami experience slightly different from the norm from trolley trains or from a boat while going down the river is special to Arashiyama. At least 1,500 cherry blossom trees are planted near Togetsu-kyo Bridge along Katsuragawa River, which is illuminated at night. Please enjoy an evening walk while gazing at the cherry blossoms. Keage Incline is a place where you can admire the cherry blossoms while walking on top of abandoned railway tracks. 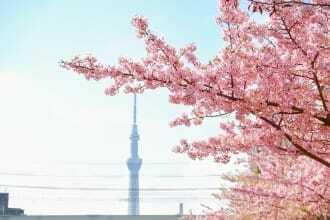 About 90 cherry blossom trees are planted along the entire 582-meter length of the tracks. Keage Incline had been used to transport ships from Otsu, Shiga to Kyoto up until 1948. The railway tracks are located on a sloping plane and, even now, the railway track used for transportation still remains at the final stop. Kodaiji Temple is a Zen temple of the Rinzai School Kennin-ji Sect. The temple was opened in 1606 by Nene, the wife of Toyotomi Hideyoshi (*1), a military commander during the Sengoku period, to mourn his death. The cherry blossoms are particularly stunning at Hashintei, a Japanese garden in the temple expressing Zen ideology. 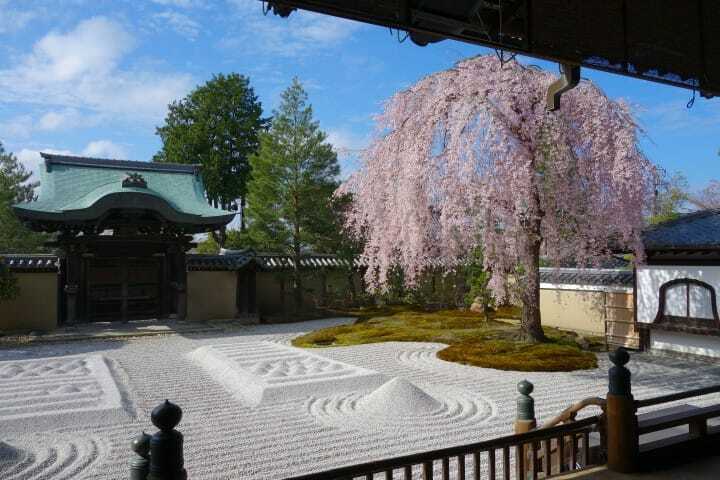 The pink shidare-zakura blooming in the karesansui garden, an expression of nature through the use of pebbles and rocks, is like a work of art. *1 Toyotomi Hideyoshi: a historical figure from the Sengoku period, which took place from the late fifteenth to late sixteenth centuries, that unified the entire nation. He erected Osaka Castle, one of the top 100 castles of Japan. Illuminations and projection mappings are held starting from 17:00, enveloping Hashintei in a magical atmosphere. Kyoto Gyoen National Garden is known as the "Central Park of Kyoto." It was once where the homes of the imperial family and nobility stood during the Edo period, but has since been developed into a garden and opened to the public following the Meiji period. Kyoto Gyoen is very large, with a maximum circumference of four kilometers. 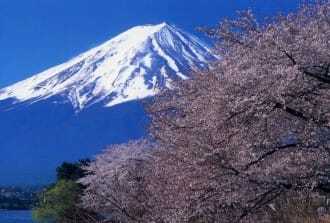 Here you can leisurely admire 1,000 beautiful cherry blossom trees. The photo above was taken near Demizu Stream in the southwest area of the garden. 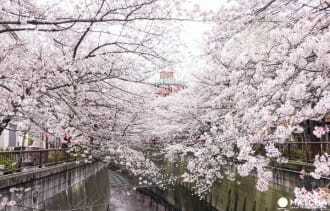 The pink and white of the cherry blossoms together with the stream makes a great picture, doesn’t it? The cherry blossoms can be seen from early to mid-April. The best time to see the blossoms will differ depending on the weather but is usually around mid-April. Daigoji Temple was registered as a World Cultural Heritage in 1994. This has been a famous cherry blossom spot since the Heian period. 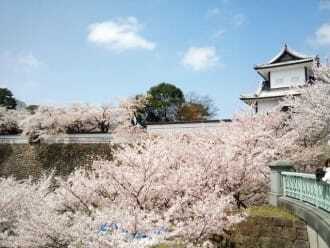 It is also known to be where Toyotomi Hideyoshi hosted a splendid hanami celebration half a year before his passing. In 1598, Hideyoshi hosted the Daigo Hanami while accompanied by over 1,000 retainers. 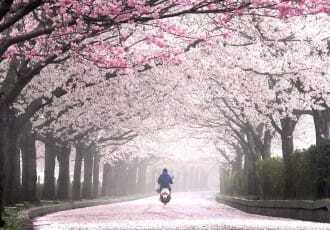 He is said to have planted 700 cherry blossom trees around Kyoto. Even now, over 400 years later, the cherry blossoms of Daigoji Temple continue to mesmerize countless visitors each year. We suggest taking a walk under the cherry blossom trees while enjoying the variety of scenery. You will find the five-storied pagoda, a National Treasure towering over the grounds, the red Bentendo Hall beautifully reflected in the pond, and the garden of Sanbo-in Temple, where the monk managing Daigoji Temple resided. Time: 9:00 – 17:00 (Reception ends at 16:00) *Changes may occur depending on the season. 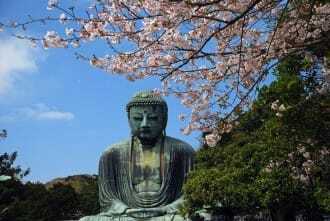 Admission: Adults 1,500 yen, junior and high school students 1,000 yen (combined ticket for Sanbo-in Temple, Garan, and Reihokan) *Changes may occur depending on the season. Access: Take the Keihan Bus Yamashina Express Line from Platform H4 at the Kyoto Station Hachijo Entrance bound for Daigoji Temple for 30 minutes and exit at Daigoji Temple (300 yen). The entrance will be immediately outside upon arrival. Along the Takase River, which flows through the entire 2.8 kilometers of Kiyamachi Street, you can enjoy the atmospheric Kyoto townscape with beautiful cherry blossoms. 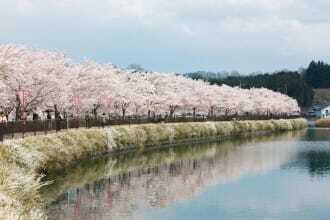 200 cherry blossom trees are planted over a stretch of one kilometer. The surrounding area is a restaurant district, so how about admiring the cherry blossoms while enjoying a meal and drinks? The Kiyamachi Street Night Cherry Blossom illuminations will take place from 18:00 – 23:00 between late March to early April. We also recommend taking a walk at night. Kamigamo Shrine is known as the oldest shrine in Kyoto. Its officially name is Kamo Wake-Ikazuchi Shrine and it is a registered World Heritage Site. 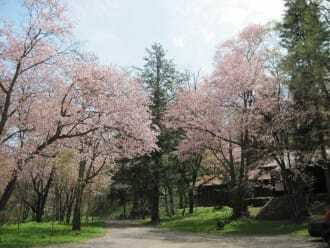 Kamigamo Shrine is famous for its beautiful shidare-zakura (weeping cherry) trees called the Saio Zakura and Gosho Zakura. The word “saio” refers to an unmarried daughter of the Emperor (imperial princess) sent from the kyuchu (*3) to serve the deities of the shrine. “Gosho” refers to the Emperor. Both magnificently shaped trees have a beauty that fascinates those that see them. *3 Kyuchu: the imperial court located inside the residence of the Emperor. The Philosopher’s Walk is listed as one of the Top 100 Paths of Japan. Its name originates from the fact that many literary scholars have walked down this path. A canal runs along the road and continues for about two kilometers. 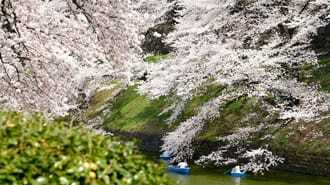 The sight of its 500 Yoshino cherry trees is phenomenal. As cherry blossom trees are planted on both sides of the path, you can enjoy the beautiful cherry blossom tunnel come to their full bloom. Nearby the path, you’ll also find Heian Jingu Shrine and, if you walk a little further, Keage Incline. How about including the Philosopher’s Walk into your cherry blossom spot tour? The Philosopher's Walk In Kyoto - Enjoy It Every Season! Kamo River is a popular spot for walks in Kyoto. You’ll find many people strolling around or gazing at the river while seated, slowly passing the time. Once spring arrives, the river is bustling with people that come to enjoy walks along the row of 1,000 cherry blossom trees. There are also several restaurants along the river, so we also recommend having something to eat while viewing the cherry blossoms. The average temperature from late March to mid-April, the best time to see the cherry blossoms, ranges from ten to twelve degrees Celsius. The temperature difference between day and night is substantial. You'll need a jacket or a light coat during the day, but the temperature can drop to around just five degrees once night falls. If you’ll be going out to see the night cherry blossoms, it is best to properly protect yourself from the cold with a sweater or scarf. We also recommend purchasing hand warmers at a convenience store or supermarket to keep yourself warm. It is often fine to choose wherever you wish to sit in the park if it’s open to the public for free. However, there are also some parks that have set areas that you can or cannot enter, so you will need to check this information beforehand. Please read Finding The Perfect Spot: Saving A Hanami Site to learn more. It is also a rule for everyone to either bring their garbage home or to throw them away in predetermined areas after hanami. Refer to Cleaning Up The Right Way: Dealing With Trash After A Hanami for details and enjoy your hanami while following the set rules. Visitors from all over the world come to Kyoto during the hanami season to see the cherry blossoms. Hotels become full quickly with reservations during this time period. If you plan to visit Kyoto at any time between late March to April, be sure to book a hotel as soon as possible. We also suggest considering making reservations in neighboring cities such as Osaka, Kobe, or Nara, where it may be easier to find lodging. You can commute to Kyoto from these areas. Where To Stay In Kansai - 6 Great Guesthouses In Osaka, Kyoto, And Kobe! *This article is a revision updated for 2019 of an article originally published on November 1, 2016. Visiting Tokyo In March? 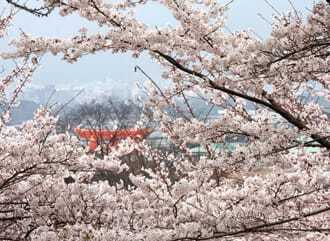 Enjoy Early Cherry Blossom Viewing! 15 Best Cherry Blossom Viewing Spots In Kyoto! 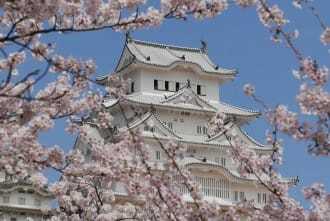 4 Top Cherry Blossom Spots In Kanazawa - View Sakura In A Castle Town! 12 Best Night Cherry Blossom Views - Magical Illuminations! 5 Amazing And Less Crowded Cherry Blossom Spots Near Kyoto! 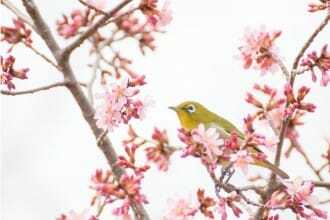 The Symbol Of Spring: Why Do The Japanese Love Sakura? Japan Autumn Leaves Calendar 2018 - Seasonal Forecast And Famous Spots!